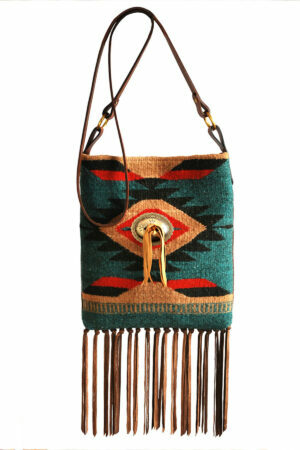 Red River Bag is ample in size and made with rugged 100% cotton serape, in earth tone colors. 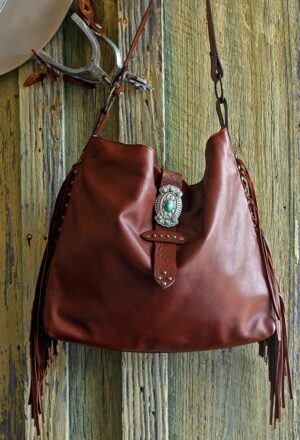 The closure strap is accented with a 3 inch German silver concho, and soft cowhide fringe drape both sides of the bag. The leather strap tucks neatly into a keeper that is also studded with antiqued metal studs, to make an attractive closure. A magnetic snap on the inside top secure the closure. 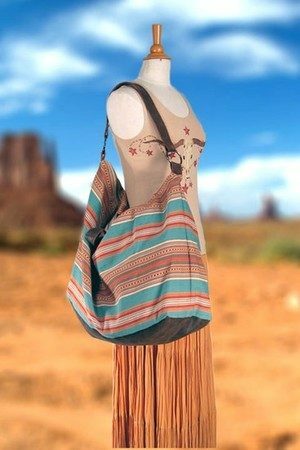 Bag is beautifully lined with 100% printed cotton with 2 interior pockets for small items. 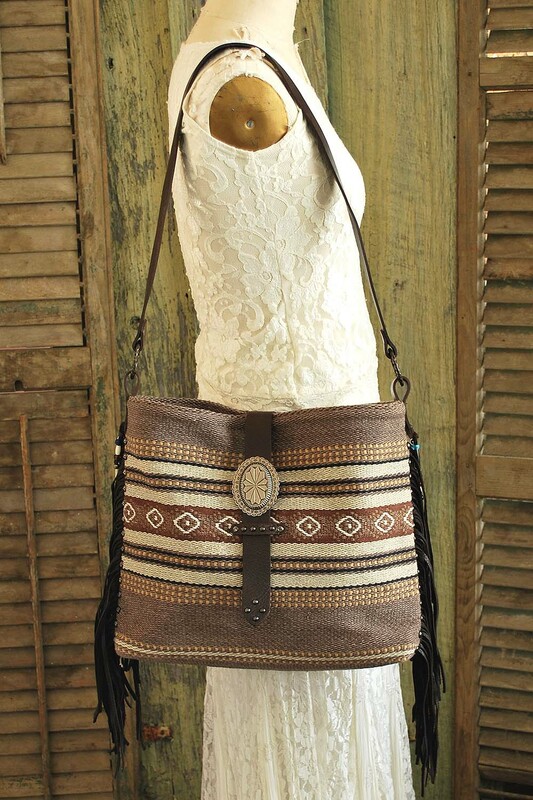 Features a cross body cowhide leather strap and an exterior cell phone pocket on the back side. 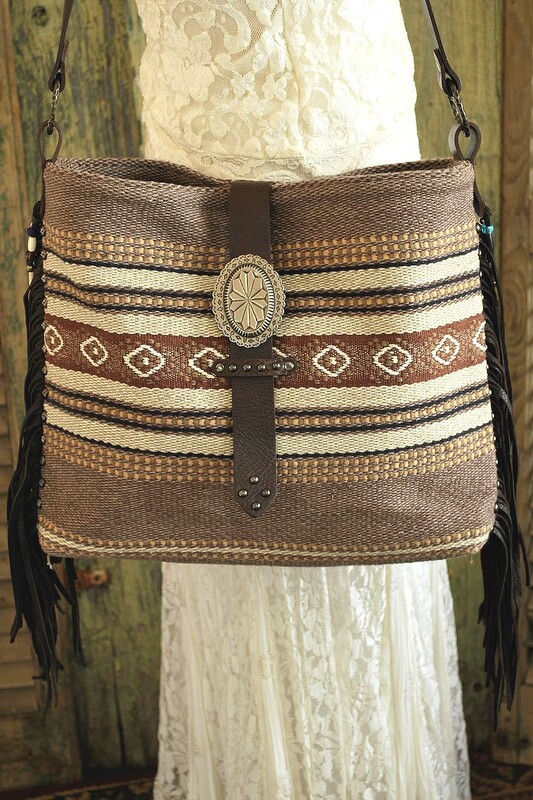 Measures 16″ W x 14″ H with 3″ bottom gusset.